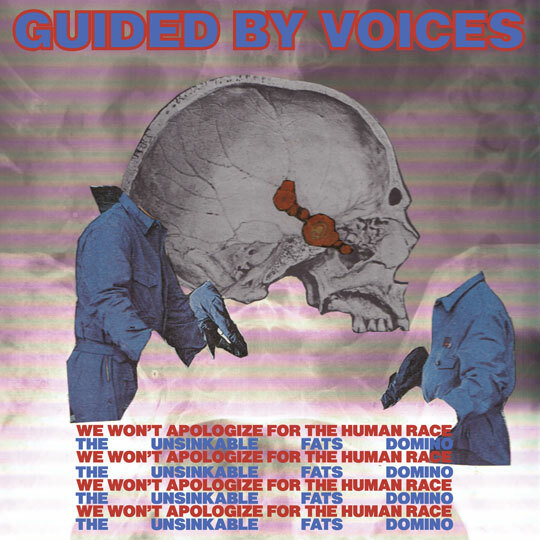 The weird thing about Guided By Voices is that they never really started sucking at any point. The problem was Robert Pollard’s knack for writing a dozen songs a day, and his lack of a crap barometer. Eventually that probably wore them down, and resulted in very sub-par work, but really, I can’t fault the guy for trying. Especially because the good stuff GBV put out (especially their 90s output) is without challenge. So yes, I’m quite excited about the new Guided by Voices song, “The Unsinkable Fats Domino,” because it sits snugly in the Good category. I was incredibly apprehensive at first, but like fellow 90s icons Dinosaur Jr., I think the band from Dayton, Ohio still had some good ones left in them.